Casa Arietta at Bay View Grand- #512 B- Much desired location in building B!! View many more pictures of my condo and property via the link below or visit my web site lacasapv! 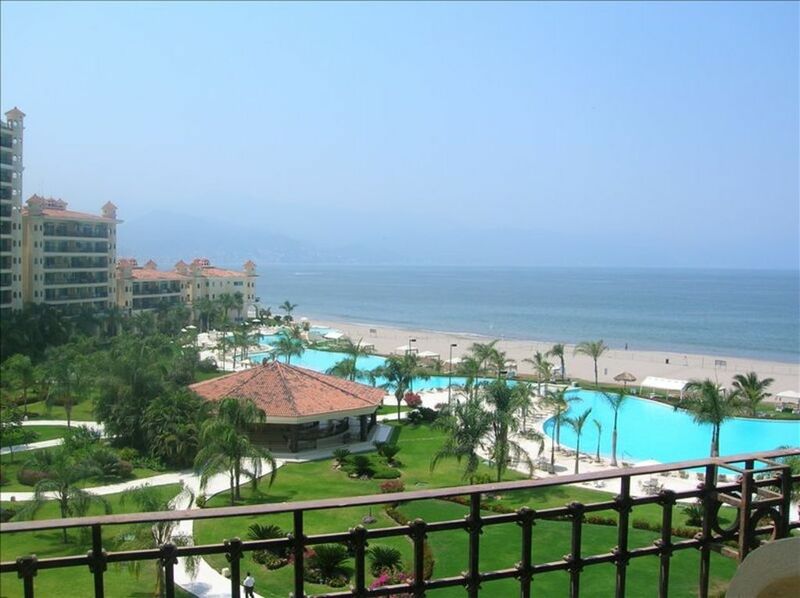 I viewed many properties in Marina Vallarta and selected Bay View Grand (BVG) because it has the most beautiful gardens, largest infinity pools of which 2 are kiddy pools, and was the only property that had pool side service where you can have lunch or dinner and a variety of spirits to select from. BVG recently added a spa, a convenience store and a gym on the property. My condo is located in building B which has the most desirable views in Bay View Grand. From the back patio, you will see the Bay of Banderas, downtown Puerto Vallarta (PV) referred to as Centro and Old Town and the mountains surrounding the city. Each evening we see the fireworks, the city lights and the cruise ships. My condo gets the morning sun so in the afternoon and evening you can enjoy entertaining on the back patio as you do not have the sun rays beating down on you (as you would in other buildings of BVG). You can walk to 2 shopping centers from BVG which is Marina Plaza and all the shops and restaurants of the Marina. And the Marriott and Westin Hotels are about 10-15 minute walk with shopping and restaurants. We have Roku which allows you to access your entertainment such as Netflix, Amazon Prime Video, etc. There is an on site library in lobby C where you can access books for free. Right down the street- private golf club. We had an amazing stay. This condo provided us with everything we needed and really comfortable. We loved the complex and the marina close by. We would love to come back. Perfect Low Key Condo, with fantastic pools, immaculate grounds, and a wonderful beach and views! The basics, such as pool, beach, views, etc. are spot on. So very wonderful. The beds, sheets, and comforters aren't the greatest. Would be great if there was a fan in 2nd room. Kitchen wasn't fancy, but it was well equipped. We were worried about not being able to use the A/C, but the cross-wind really does wonders. Hot tub on the balcony was cool, but unfortunately the hot water heater couldn't heat up that much h2o, so it ended up not being used too much. Kids liked it nonetheless. Nice patio furniture. Felt very safe, and enjoyed the great many employees that helped us this week. There is a cleaning fee of $75 USD that you pay directly to our property manager on the day of your arrival. This fee is not included in the fee's listed above.